While talking tough about illegal drugs during an election year, LePage’s actions have undermined Maine’s efforts to fight drug trafficking and addiction. Since taking office, he has cut drug intervention and treatment programs, derailed a bipartisan legislative effort to increase enforcement and drug treatment in the state, and even vetoed common-sense legislation that increased access to medicine that can prevent fatal drug overdoses. “The drug problem facing Maine is serious, real and requires true action – not political theater,” said LePage’s opponent in the race for governor, U.S. Rep. Mike Michaud. “Sadly, Gov. 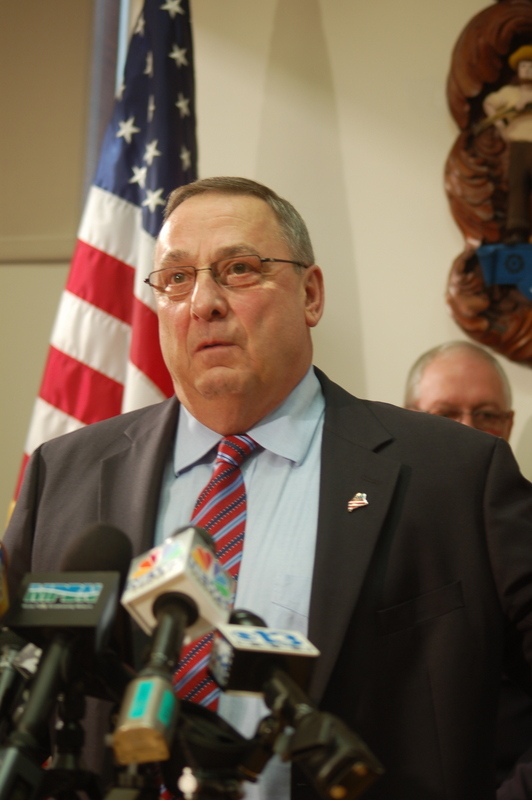 LePage is only interested in scoring political points in an election year. When it comes to doing the hard work to tackle the problem, he’s absent. “Gov. LePage had an important opportunity to work with other governors to take a comprehensive, regional approach to an epidemic that is affecting all of our communities. Instead, he chose to play games, govern by press conference, and politicize the issue in an effort to divide this state,” said Michaud. “Maine needs a comprehensive approach to addressing Maine’s drug epidemic, and a governor who will bring people together to address this problem head on. We know what works and what doesn’t. 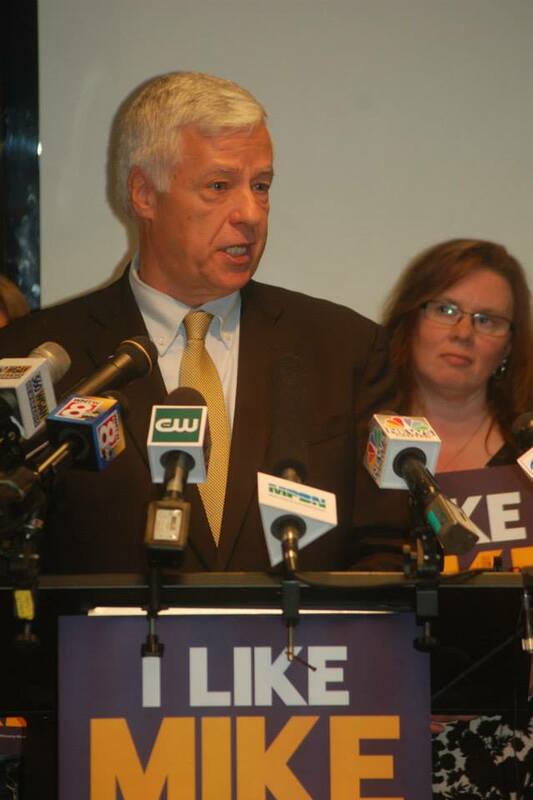 Playing political games and simply throwing people in jail won’t solve this problem and won’t move Maine forward,” said Michaud. 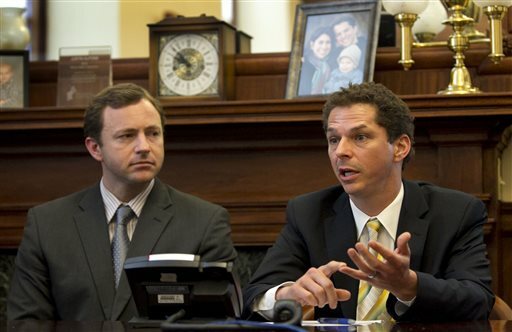 Lawmakers had attempted to revise the bill to make it more politically palatable, but LePage signaled he would veto anything but his original proposal and a bipartisan panel of legislators unanimously moved to kill the bill. Democratic leaders in the Legislature have said they will not bring lawmakers back to Augusta until the next session begins in 2015. While LePage has the constitutional authority to call lawmakers back into session, he said Tuesday that it would be pointless. Lawmakers, if they chose, could simply recess immediately upon being called back to Augusta, he said. 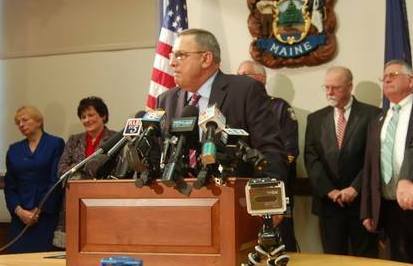 Governor Paul LePage takes a question from NBC national correspondent Kate Snow during “war on drugs” press conference. Patrick said he planned to meet with his counterparts from Rhode Island, Connecticut, Vermont, New Hampshire and Maine next week to discuss ways they could collaborate to reduce opiate abuse in New England. Representatives for Rhode Island Governor Lincoln Chafee, Connecticut’s Dannel Malloy, Vermont’s Peter Shumlin and New Hampshire’s Maggie Hassan confirmed the governors would attend next week’s summit. A spokeswoman for Maine’s Paul LePage, the sole Republican governor in the region, said he would not attend due to a prior commitment. Crime is down according to the Uniform Crime Reporting Division at the Maine Department of Public Safety. Governor Paul R. LePage and Department of Public Safety Commissioner John Morris will release details at a news conference Tuesday. Governor LePage credits the overall decline to a variety of factors, including more coordination between law enforcement, the courts, prosecutors and domestic violence advocates. A spokeswoman for Maine Gov. Paul LePage said he did not attend because of a scheduling conflict but wanted to be kept apprised of details. LePage later complained, however, that as the only Republican governor in New England his point of view might not be heard. “So rather than listen to chit-chat, I’m here trying to get the work done,” LePage said during a news conference on crime statistics in Maine. 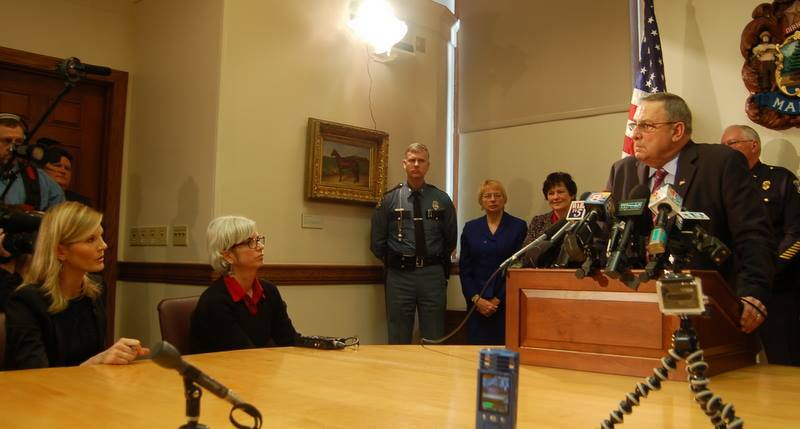 A reminder: At the original press conference where he stood with multiple administration and state law officials, Paul LePage also went on record as calling marijuana a “gateway drug”.